Jun 28 What do people do at the gym? When my track team works out in the weight room there are a few girls that are really good at looking busy. They kind of walk from machine to machine not really doing anything but also moving around enough so it's not completely noticeable at first. Every year I try to figure those few out. I feel like it is like that at any gym you go to! I used to be a member at Xsport and ended up cancelling my membership for a few reasons. That's besides the point. The point is, what do people do at the gym? What workouts are they doing? Are they effective? When/how often are you supposed to work each muscle group? These are questions I always have when thinking about getting a gym membership! One of the reasons that going to the gym is not for me is because I never really know what to do! I like to lift, do some cardio, and get in some full body workouts. I'm not a trainer (and definitely can't afford one) so I always struggled with a workout schedule that allows me to work all muscle groups efficiently. I almost felt lost going into the gym! I've trained for 2 half marathons and both times I gained weight :( I like running as a hobby, but not as a primary tool to get in shape and lose weight. At this point in my journey, I want to build lean muscle and tone up my body. I've always had an incredibly busy schedule with coaching so I couldn't take classes at the gym. I would maybe be able to go once a week. I'm jealous of the people who talk about the classes they love at their gym and go to each week. Also, for some people, it's hard to be in a group fitness class if you are insecure or new to working out. 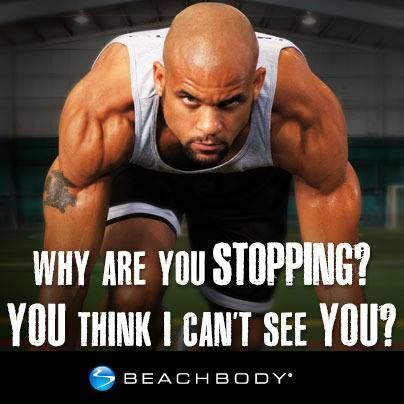 So what do we do busy people who want to get a good workout in? I consider my Beach Body programs as my own version of a "workout class". The programs are created by certified trainers and come with a calendar schedule for the workouts! Plus, with my busy schedule, I can complete the workout in a 30 minute period in my own home. It's almost like having a personal trainer in your house because they are incredibly motivating throughout the videos and truly make you want to finish the workout!